Listen to all the music you love, no matter where it lives. Imagine your music library, music services and more than 100,000 free radio stations, podcasts and shows blasting off the walls of every room. One simple app brings together all your favourite music services, and lets you control everything – from songs to volume to rooms. Play a different song in the living room, bedroom, even bathroom, or the same track in every room. Add your existing music services or discover something new. Use your smartphone, tablet or computer to stream different songs in each room, group rooms together, or hear the same beat everywhere. Trueplay listens to your room then fine-tunes your speaker so it sounds great, no matter where you place it. Feel the music come to life when you immerse yourself in Sonos sound. Hear every song as it was meant to be heard and every instrument as if you were in the studio or the front row. No rewiring. No complex programming. Place your Sonos speaker anywhere in the house and connect to your home WiFi network with an intuitive mobile app. Build a house of sound, one room at time, and control your entire home audio system from your phone or tablet. 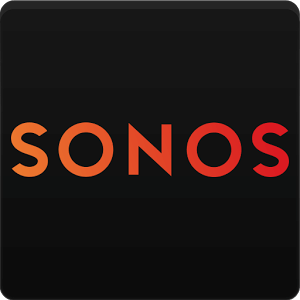 This update fixes a couple of minor issues with Apple Music on Sonos. All Sonos apps are required to update.